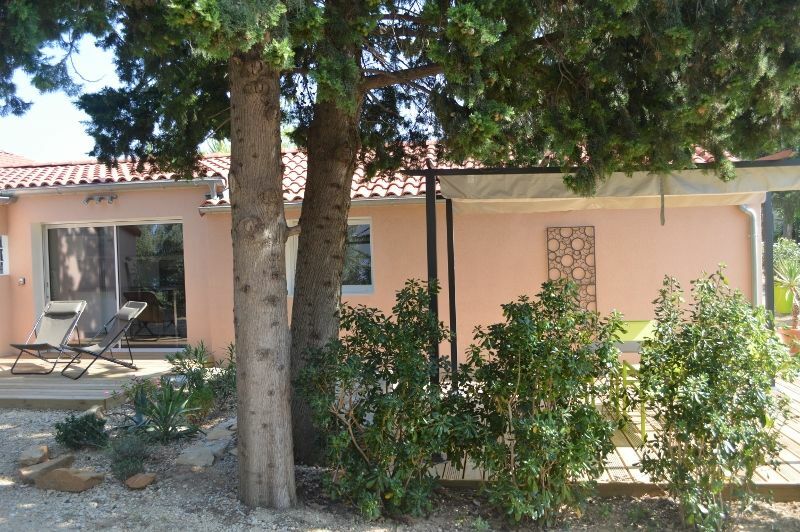 HOUSE of FLAIN and INDEPENDENT of 45 m2 combining the CHARM of BEAMS BEAM and BIG VOLUMES under ceiling, with a CONTEMPORARY DECORATION and NEW EQUIPMENTS. FREE ACCESS to our deckchairs and our charming SWIMMING POOL to share, small lagoon nestled in a large wooden terrace in the heart of a natural setting cradled by cicadas. PARKING your vehicle next to your deck and personal remote control for opening the gate. 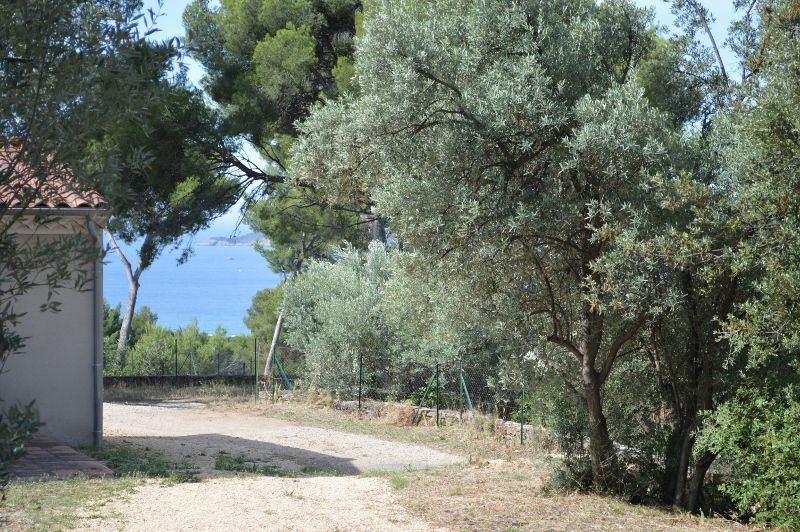 - LARGE TERRACE WOOD 30 m2 SEA VIEW, with arbor, table and chairs, deckchairs, plancha; in the heart of cypresses, pines, olive trees, oleanders and surrounded by a hedge of PITTOSPORUM. - LIVING ROOM with LARGE 3 Seater SOFA, convertible by RAPIDO system sleeping for 2 people with NEW and COMFORTABLE mattress of 140 wide and 190 long, coffee table, flat screen of 81 cms with TNT program, DVD player, cupboard with MACHINE WASHING, spreading, iron and ironing board, OFFICE SPACE with chair, lamp and mirror. - PRETTY bathroom with window; DESIGN basin on quality storage cabinet, large shower of 120 width, heated towel rail and hairdryer. - suspended toilet, INDEPENDENT, with vmc. - BEAUTIFUL BEDROOM very clear with BEAUTIFUL VOLUMES, bed for 2 people with bed in 140 wide by 190 long, bedside and lamp, cupboard / wardrobe, SAFE, chair and large old mirror. DIRECT ACCESS on TERRACE by glass door. Our little house has DOUBLE GLAZING and ELECTRICAL STEERING SHUTTERS. It benefits from REVERSIBLE AIR CONDITIONING with remote controls (in each room) ofsmoke detectors and has a FREE WIFI CONNECTION. Sheets, pillow cases, kitchen towels, towels and pool NOT SUPPLIED. We can lend you a BED UMBRELLA and a CHAIR for baby. Cleaning is your responsibility, but you can choose if you wish the option cleaning with a supplement of 50 euros. Possibility to rent also our second cottage of 4 people. Reservation by deposit of 30%. Balance on the day of arrival. Deposit of 700 euros. PLEASURE TO RECEIVE YOU IN OUR PARADISE. MAISON de PLAIN-PIEDS et INDEPENDANTE de 45 m2 alliant le CHARME des POUTRES APPARENTES et des GRANDS VOLUMES sous-plafond, avec une DECORATION CONTEMPORAINE et des EQUIPEMENTS NEUFS. LIBRE-ACCES à nos transats et à notre charmante PISCINE à partager, petit lagon niché dans une grande terrasse bois au coeur d'un écrin de nature bercé par les cigales. STATIONNEMENT de votre véhicule à côté de votre terrasse et télécommande personnelle pour l'ouverture du portail. 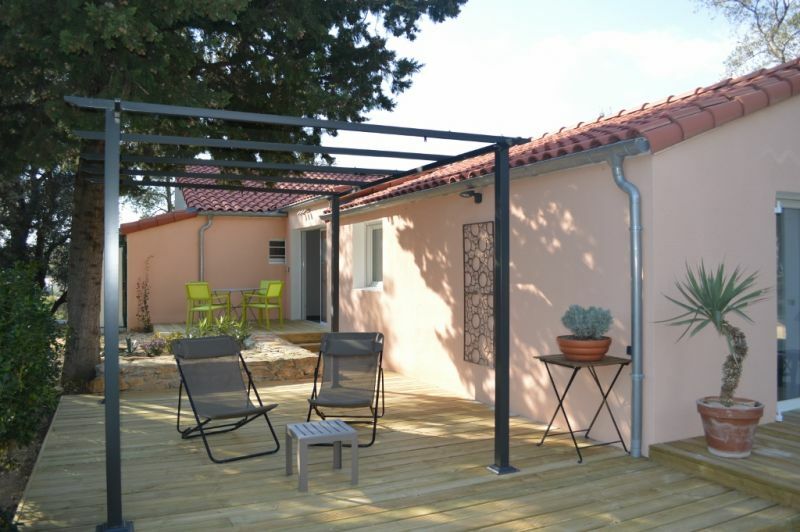 -UNE GRANDE TERRASSE BOIS de 30 m2 VUE MER, avec tonnelle, table et fauteuils de jardin, transats, plancha; au coeur des cyprès, pins, oliviers, lauriers roses et ceinte d'une haie de PITTOSPORUM. 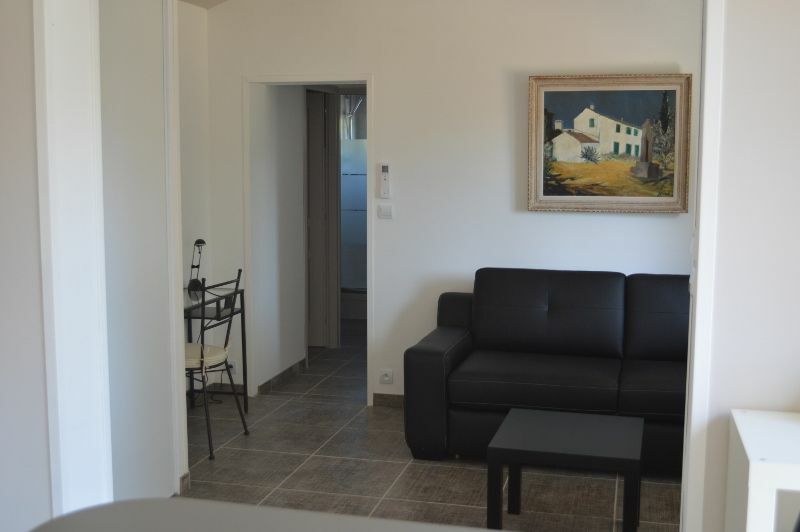 - SALON avec GRAND CANAPE 3 places, convertible par système RAPIDO en couchage pour 2 personnes avec matelas NEUF et CONFORTABLE de 140 de large et 190 de long, table de salon, écran plat de 81 cms avec programme TNT, lecteur DVD, placard avec MACHINE à LAVER, étendage, fer et planche à repasser, ESPACE BUREAU avec chaise, lampe et miroir. 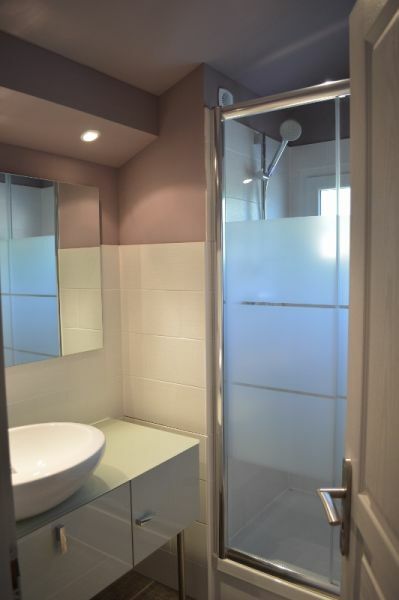 - JOLIE salle de bain avec fenêtre; vasque DESIGN sur meuble de rangement de qualité, GRANDE DOUCHE de 120 de largeur, sèche-serviettes soufflant et sèche-cheveux. - wc suspendu, INDEPENDANT, avec vmc. 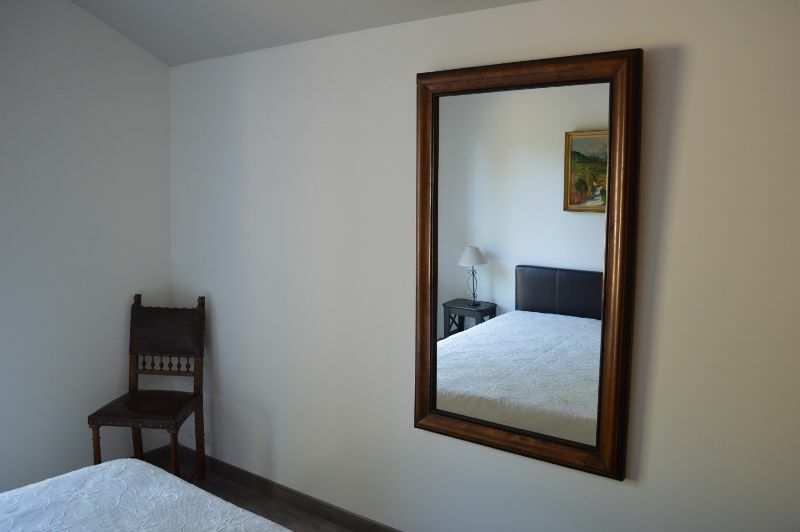 - BELLE CHAMBRE très claire avec BEAUX VOLUMES, lit pour 2 personnes avec couchage en 140 de large par 190 de long, chevet et lampe, placard/penderie, COFFRE-FORT, chaise et grand miroir ancien. ACCES direct sur TERRASSE par porte vitrée. 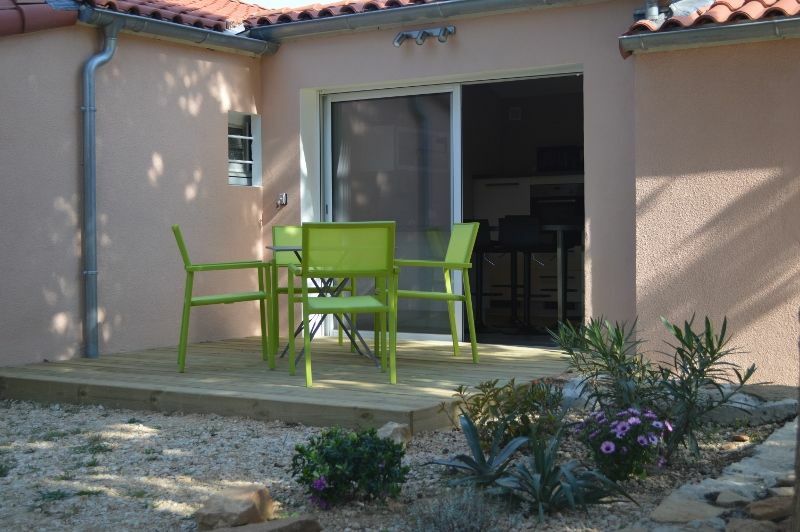 Notre petite maison présente du DOUBLE VITRAGE et des VOLETS roulants ELECTRIQUES. Elle bénéficie de CLIMATISATION REVERSIBLE avec télécommandes (dans chaque pièce) de détecteurs de fumée et possède une CONNEXION WIFI gratuite. Draps, taies d'oreiller, linge de cuisine, toilette et de piscine NON FOURNIS. Nous pouvons vous prêter un LIT PARAPLUIE et une CHAISE pour bébé. 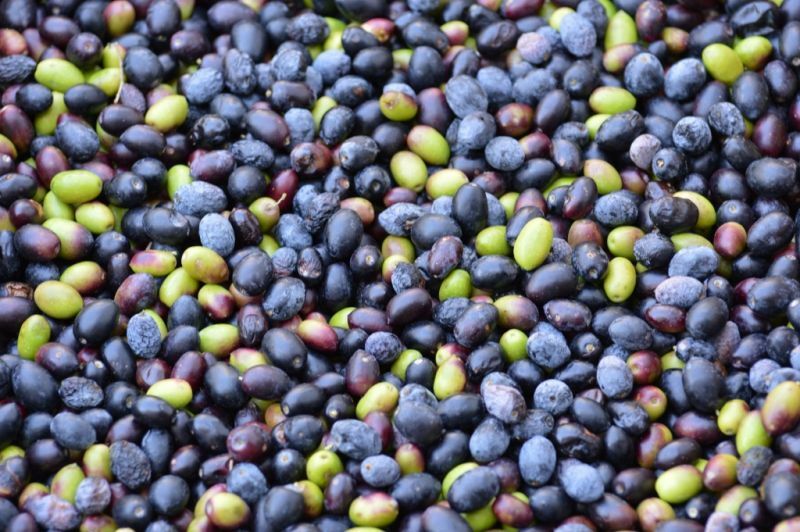 Le ménage vous incombe, mais vous pourrez choisir si vous le désirez l'option ménage avec un supplément de 50 euros. LOCATION à la quinzaine ou plus. Du samedi 16 heures au samedi 9 heures. 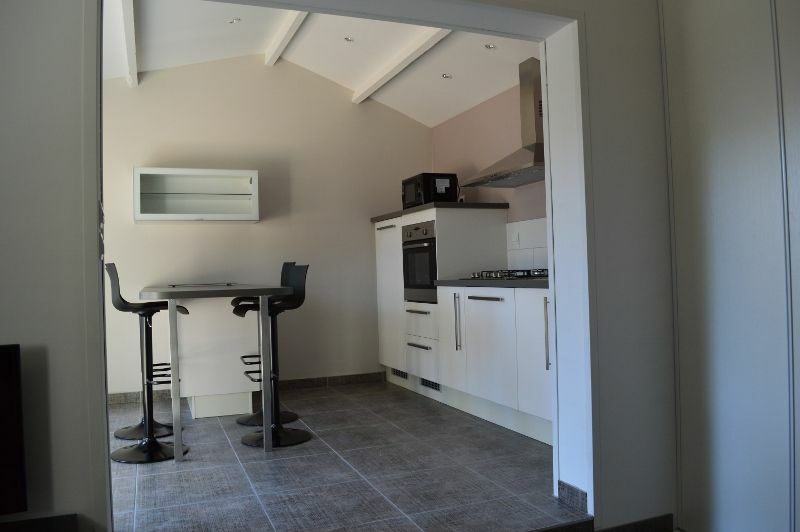 Possibilité de louer également notre deuxième gite de 4 personnes. Réservation par acompte de 30%. Solde le jour de l'arrivée. Caution de 700 euros. AU PLAISIR DE VOUS RECEVOIR dans notre PARADIS. A50 motorway. Exit La Ciotat. Towards St Cyr sur Mer. Autoroute A50. 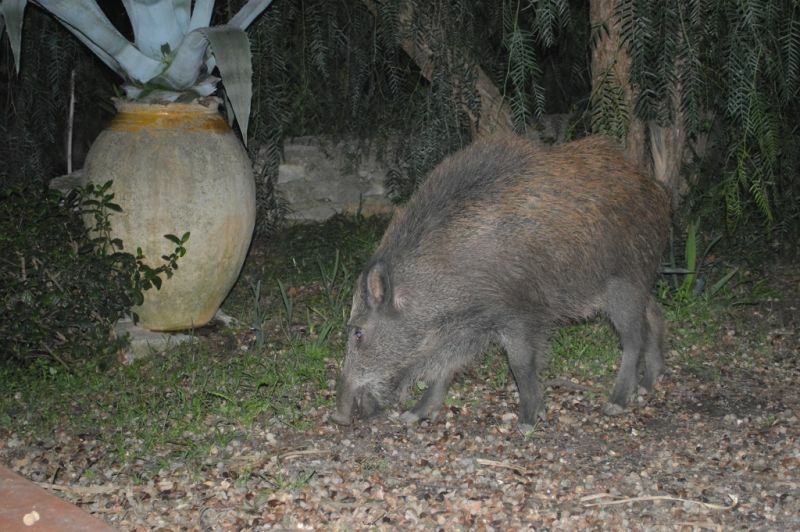 Sortie La Ciotat. 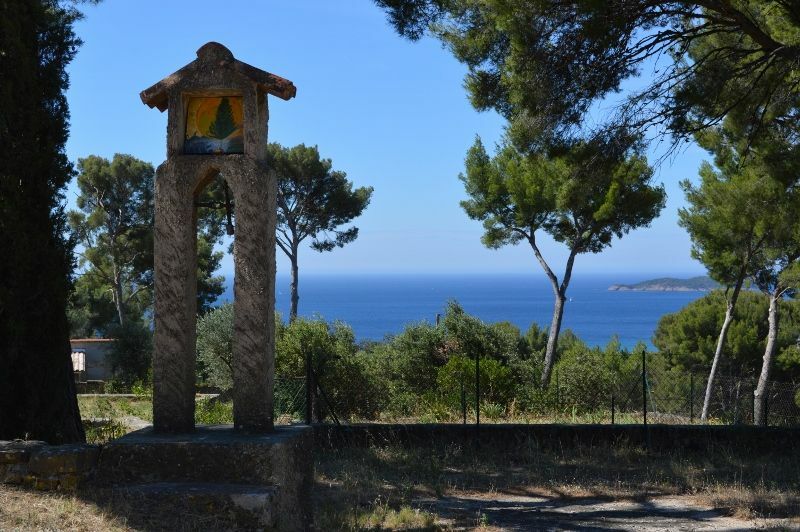 Direction St Cyr sur Mer. Gare SNCF à 3 Kilomètres. Aéroport de Marseille à 1 heure. 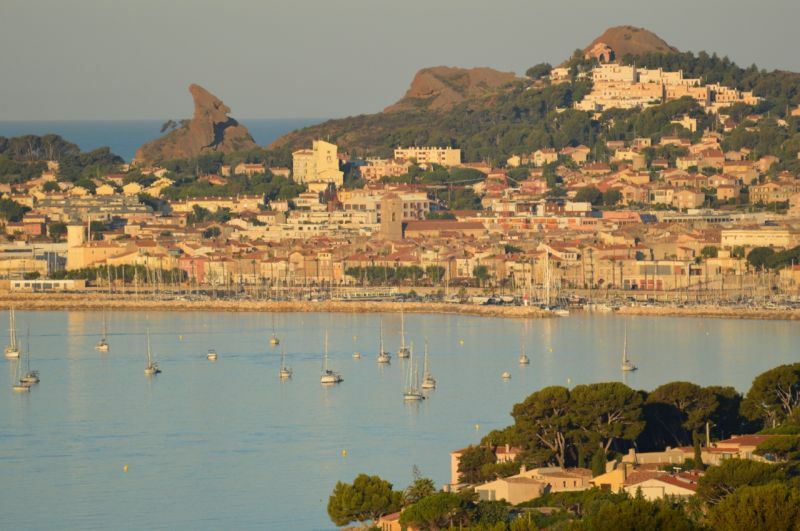 Very warm welcome, beautiful view on La Ciotat. 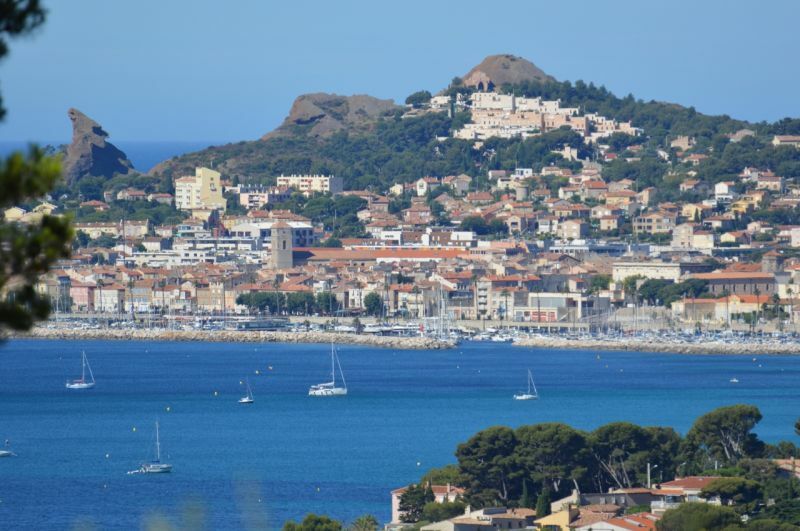 Accueil très chaleureux, vue magnifique sur La Ciotat. Location conforme au descriptif et très agréable à vivre Encore merci pour ce séjour Je recommande. In this holiday house we liked it very much. The decor is very good. The modern furnishings we liked, as well as the air conditioning, which could be adjusted per room. 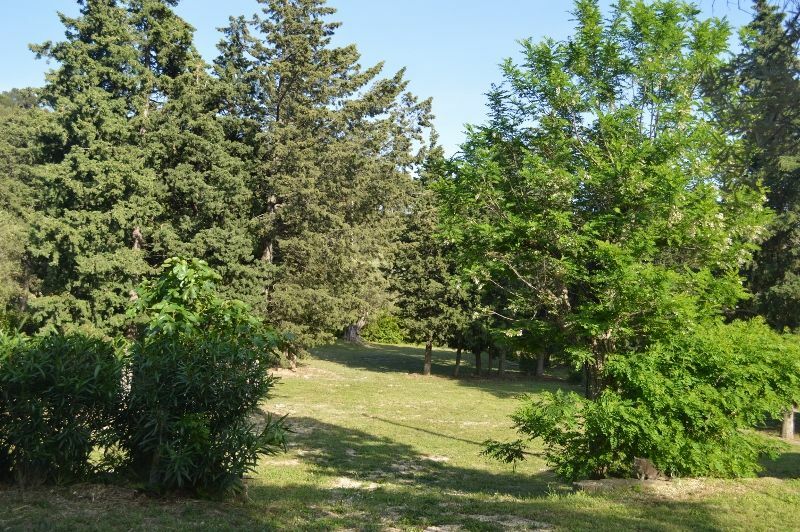 The trees on the beautiful estate with pool provided for shady places. From one of the two terraces, and also from the dining area of ? ?the apartment you had a beautiful view of the sea. 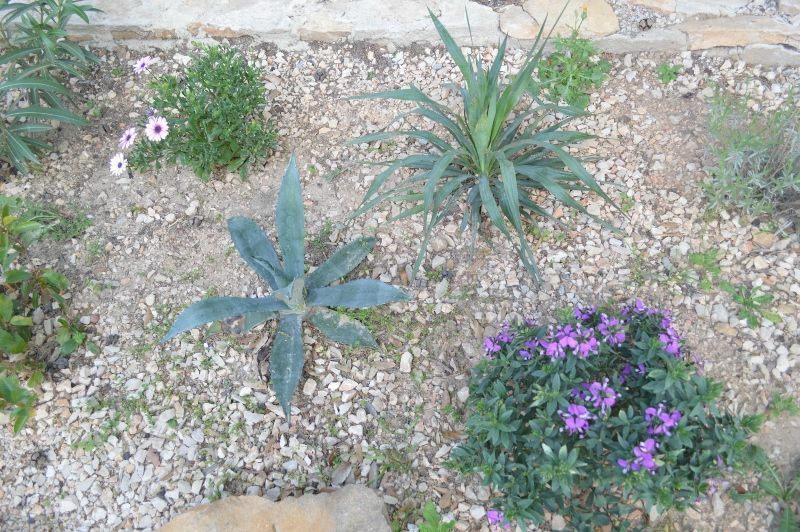 We were welcomed very nicely by the landlords who also live on the extensive property. We could at any time turn to them and we were immediately helped. We highly recommend this accommodation. Thank you Sylvie and Thierry for the great time! In diesem Ferienhaus hat es uns sehr gut gefallen. Die Ausstattung ist sehr gut. Die moderne Einrichtung hat uns sehr gefallen, ebenso die Klimaanlagen, die pro Zimmer reguliert werden konnten. Die Bäume auf dem schönen Anwesen mit Pool sorgten für schattige Plätze. Von einer der beiden Terrassen, und auch vom Essbereich der Wohnung hatte man einen schönen Blick auf das Meer. Wir wurden sehr nett von den Vermietern in Empfang genommen, die auch auf dem weitläufigen Grundstück wohnen. Wir konnten uns jederzeit an sie wenden und uns wurde sofort weitergeholfen. Diese Unterkunft können wir absolut weiterempfehlen. Vielen Dank Sylvie und Thierry für die schöne Zeit! We had a great time in this rental at the top ... the photos are very consistent with the announcement and the owners very friendly and attentive and full of good advice. We will be back with great pleasure. Nous avons passé un superbe séjour dans cette location au top...les photos sont très conformes à l'annonce et les propriétaires très sympathiques et à l'écoute et pleins de bon conseils. Nous reviendrons avec grand plaisir. Pleasant stay Sylvie and Thierry. We spent 11 days in a very pleasant setting with pool and near the sea. 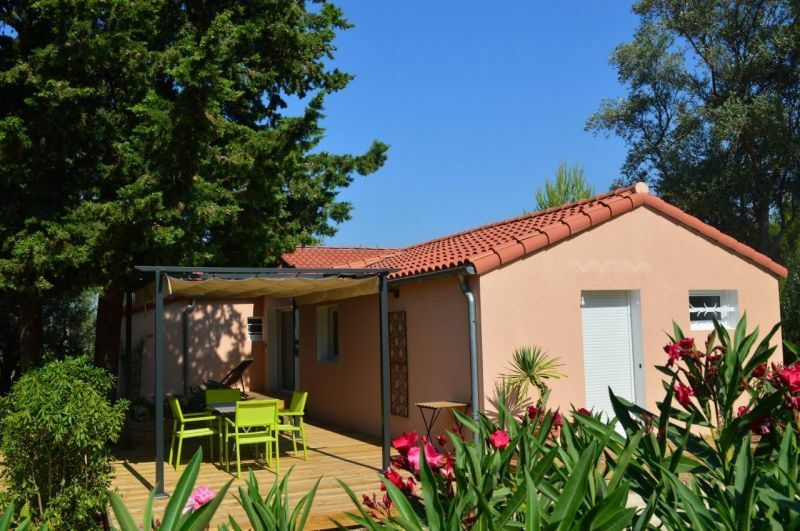 Exceptional location that we recommend to all those wishing to spend a quiet holiday while being close to town. 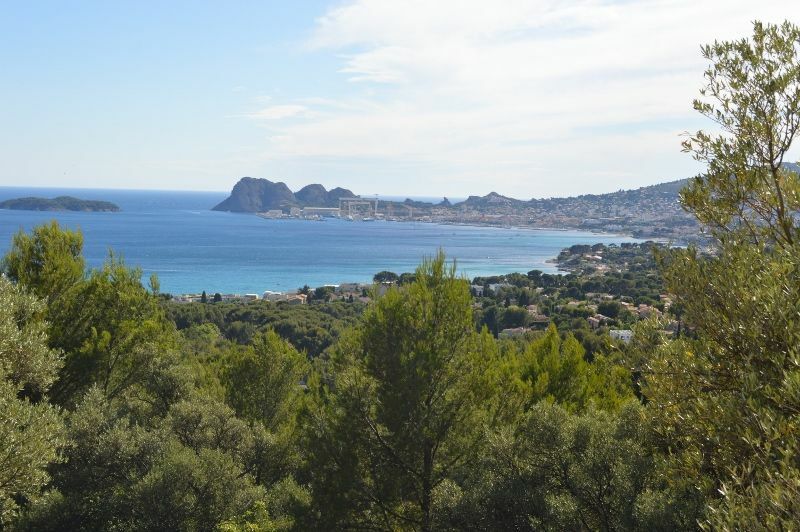 Ideal location for visiting Sea Sanary region in Marseille. 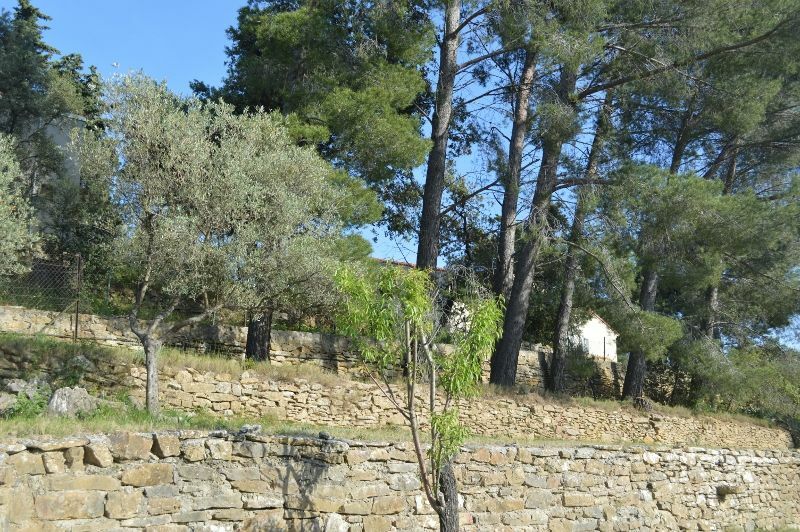 Sylvie's advice is very helpful for tours of heritage as Sainte Baume, the Castellet, etc .... Thierry and Sylvie know to be discreet while being close if necessary. Very welcome at Sylvie and Thierry. 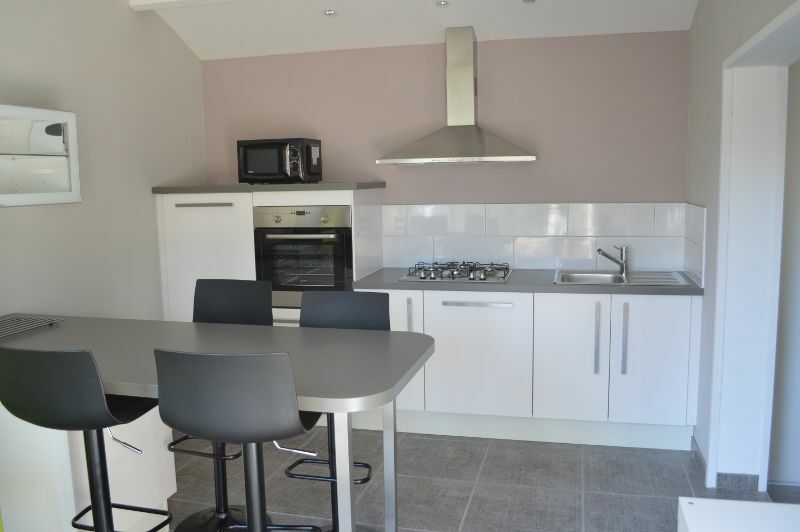 Rental quiet in a lovely setting overlooking the sea! Très bien accueillis chez Sylvie et Thierry. Location au calme dans un décor très agréable et vue sur la mer! We spent 2 weeks in a beautiful place. 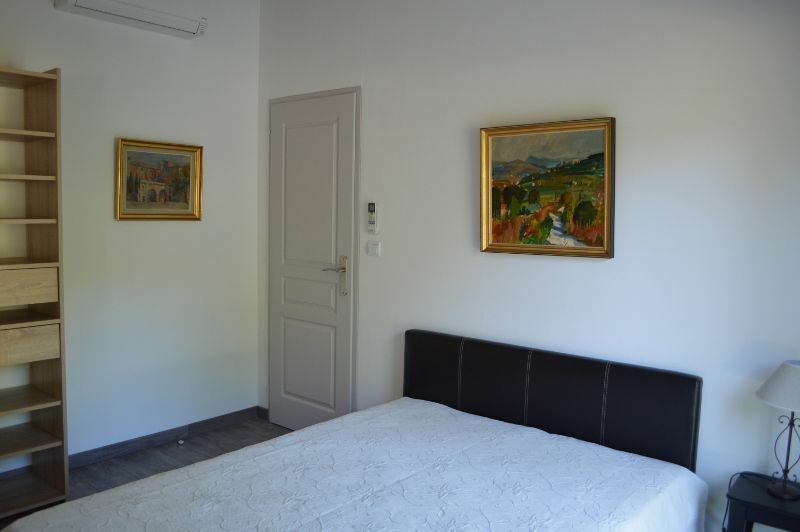 The accommodation is very comfortable, very well equipped and furnished. 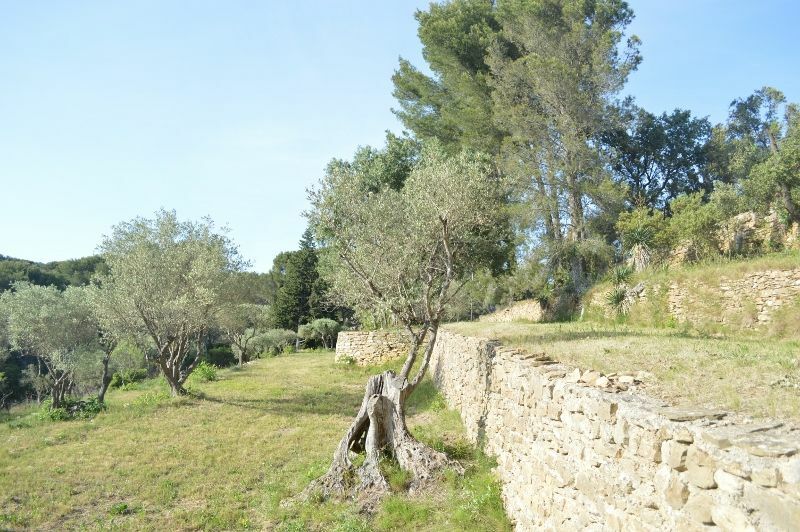 There is plenty of space in and around the house with lovely terraces overlooking the sea .. 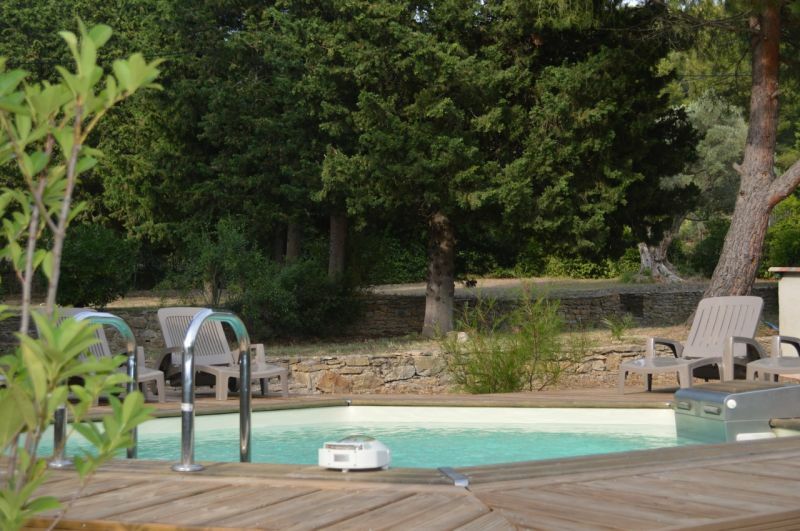 The garden and swimming pool, among olive trees and pines, allow for complete relaxation. We will return with great pleasure for the owners, while being discreet, are very friendly. To recommend ! Nous avons passé 2 semaines dans un très bel endroit. Le logement est très confortable, très bien équipé et aménagé. 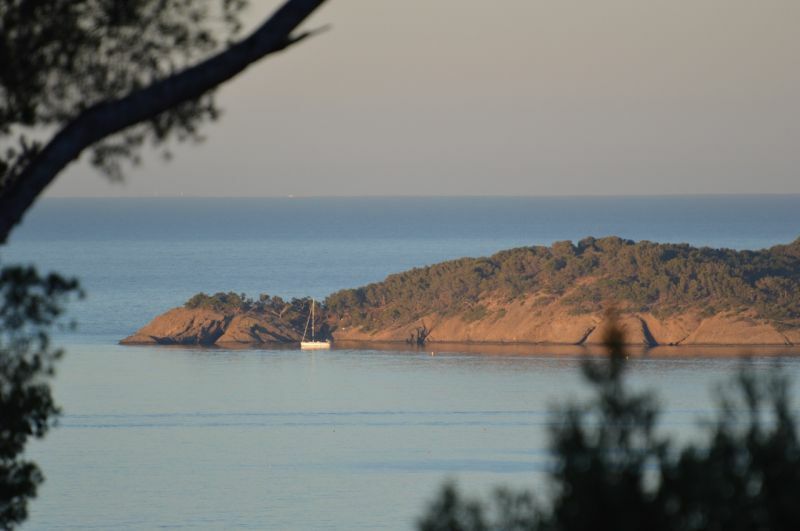 Il y a beaucoup d'espace dans et autour de la maison avec des terrasses très agréables avec vue sur mer.. 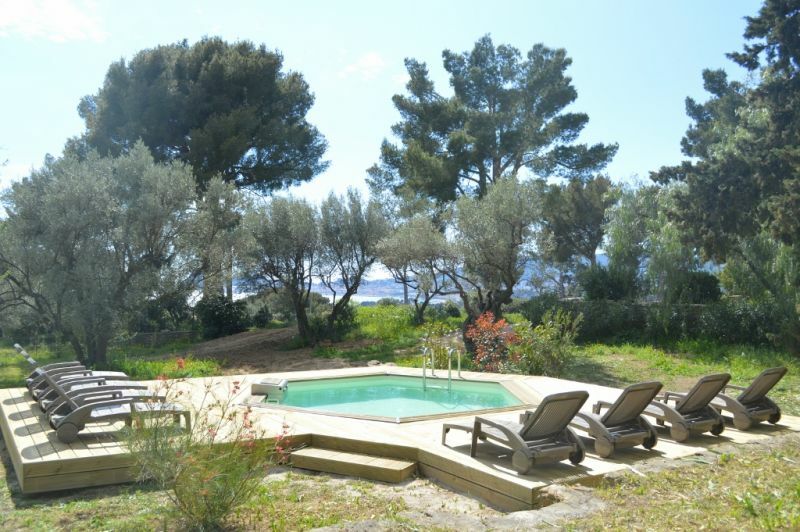 Le jardin et la piscine, au milieu des oliviers et des pins, permettent une détente complète. Nous y retournerons avec grand plaisir car les propriétaires, tout en étant discrets, sont très sympathiques. A recommander ! Great stay with Thierry and Sylvie! Warm and charming surroundings of the cicadas singing background. 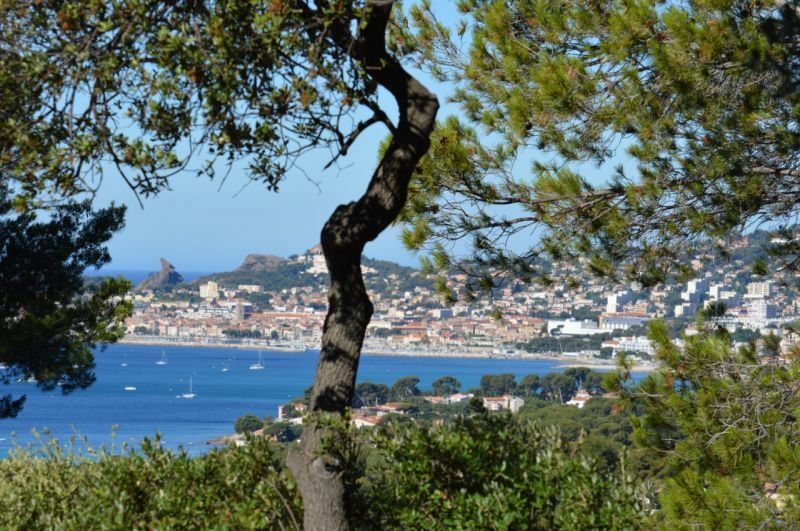 View over the Ciotat. I highly recommend. Our stay was really beautiful and the family that hosted us even more! We all walked away with tears in his eyes! Surely return! Notre séjour a été vraiment magnifique et la famille qui nous a hébergé encore plus! Nous sommes reparti tous avec les larmes aux yeux! On y retournera sûrement! Location à la quinzaine, ou plus. Du samedi 16 heures au samedi 10 heures.